As the name suggests, Nokia’s latest Big Screen app offers optimized multimedia interface for the biggest screen in your home over a HDMI connection. 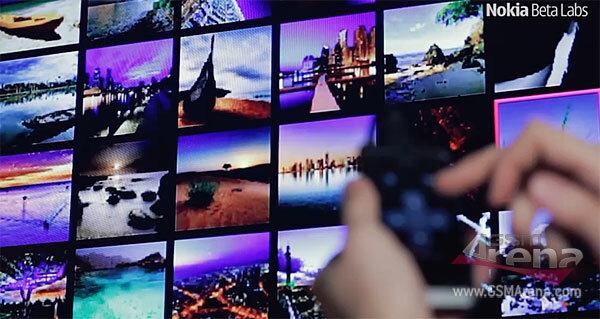 Of course, to use it, you need an HDMI-equipped Nokia smartphone such as the N8 and the E7. Once the Nokia Big Screen is installed and you’ve hooked the HDMI cable to your phone and TV, the app starts automatically. It even allows you to connect a Bluetooth keyboard or a Wii Remote to your phone. Here’s more info how to do this. After you’re done, the application allows you to display your videos, play some music while viewing your photos and even get song lyrics and initiate karaoke mode for the ultimate home party fun. It will also allow you to watch a movie with subtitles, if they are included. The app can be obtained from the source link bellow.